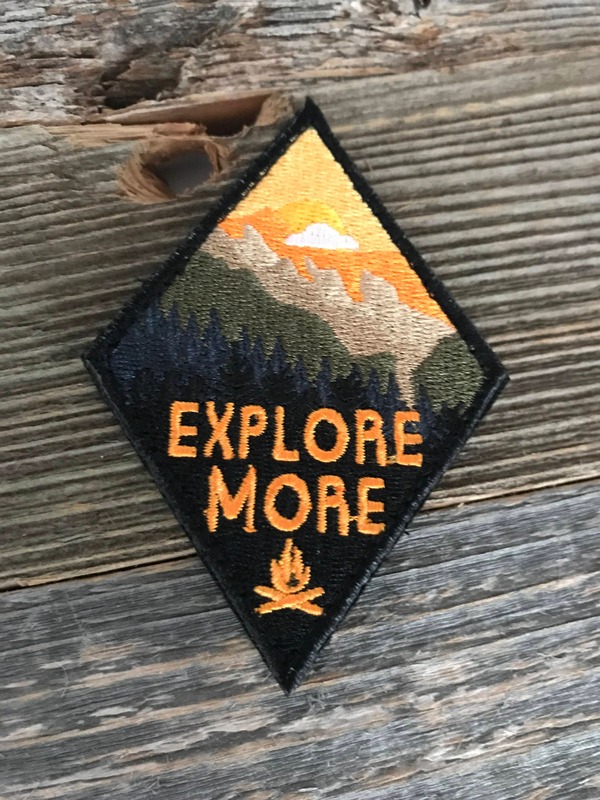 A variant of our first Explore More Series patch. The perfect patch for adventure. 3 1/4"x 2 1/4" backed in velcro.